Hi again everyone! I thought it was time for another blog and wanted share with you one of the amazing parties I threw this past year with my daughter! One of my favorite things to do is entertain! I love to cook, serve my guests and have a great time!! I like to have both casual evenings with twenty people and large evenings with over two hundred people. 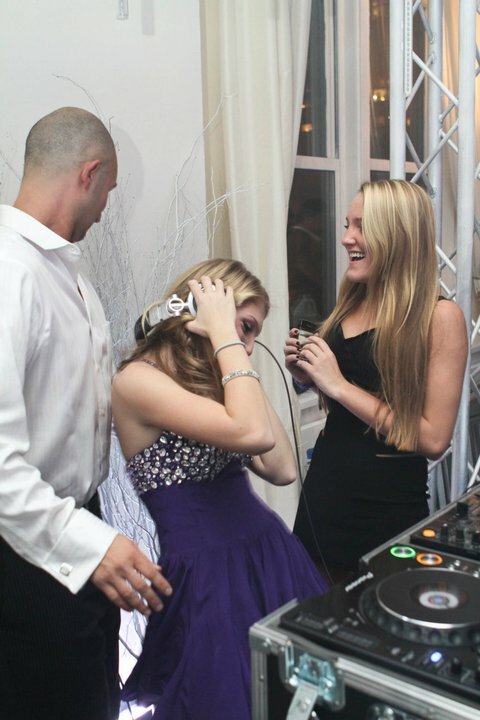 For Avery’s Sweet Sixteen I was very excited to entertain again, but this was especially fun because Avery and I did it together. Avery was involved in every detail of the planning process! She knew exactly what she wanted and was going to make sure it turned out perfectly. It turned out to be a magical evening. Avery had two hundred and twenty four people, including two hundred of Avery’s friends and twenty four of my close knit friends that Avery has known her entire life. It was really great to have so many people there who all know and love Avery. It was very important to Avery as well. Of course she wanted all of her friends there but we are a strong family unit and Avery was very excited to have family and family friends surrounding her as well. 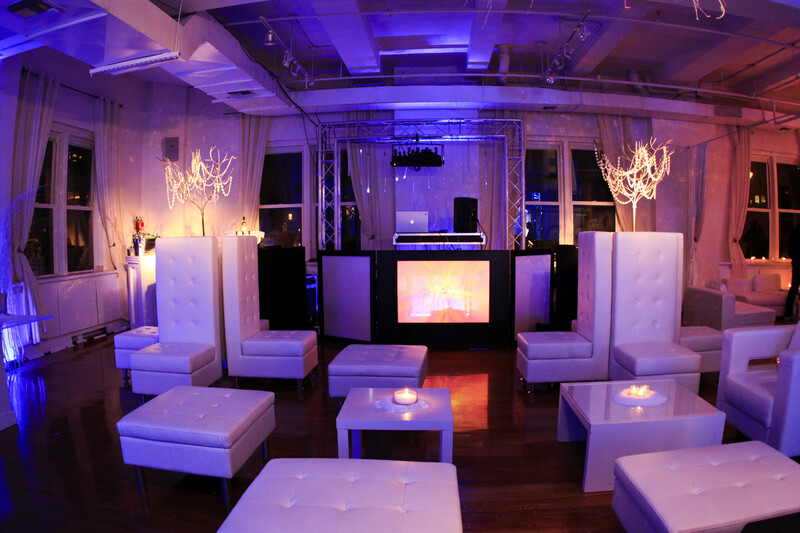 The party was held in the 5,000 square foot Midtown Loft with a separate room for the adults. This was nice because the adults were able to be a part of Avery’s special day without being in her face. 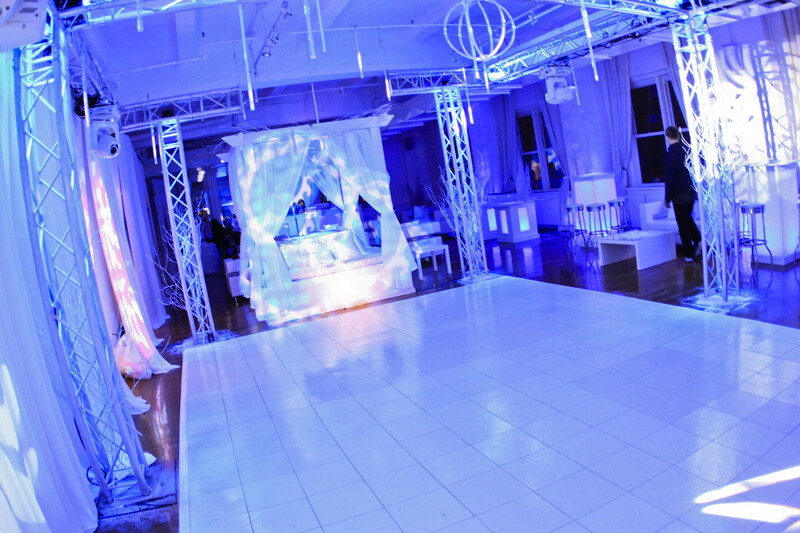 The theme was Winter Wonderland and the room turned out stunning! 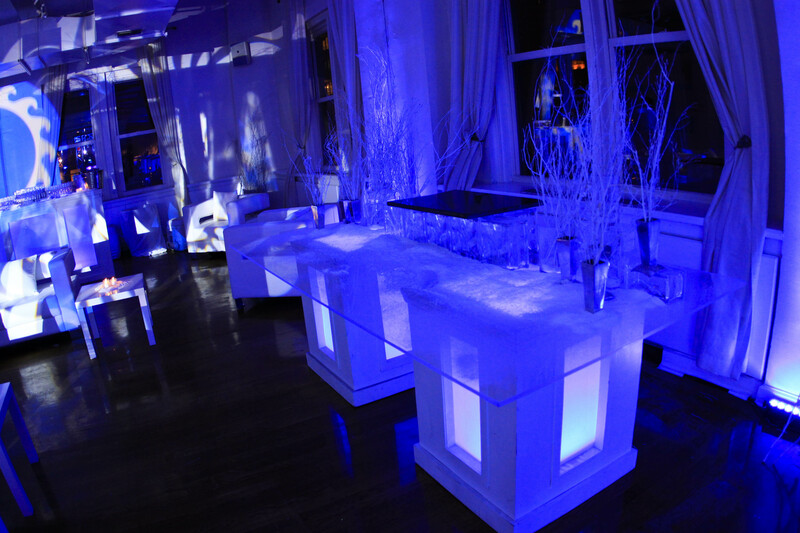 Vibe Productions and our fantastic party planner, Stephanie of Seasons of Southhampton, transformed the empty space and worked with Avery to create a perfect look. 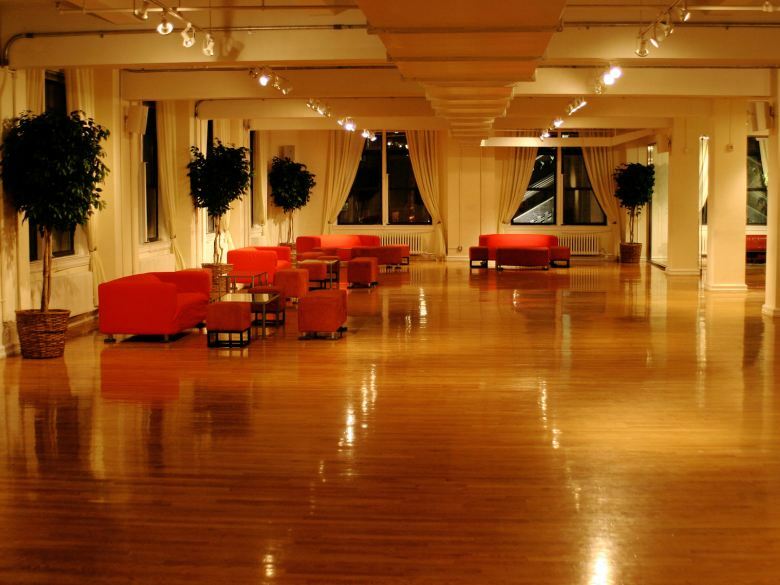 They brought in all the furniture and electrical fixtures for the event. Everything was white! Even the ceiling decorations looked like icicles. The room shimmered like a wintery forest and we even had a snow machine! 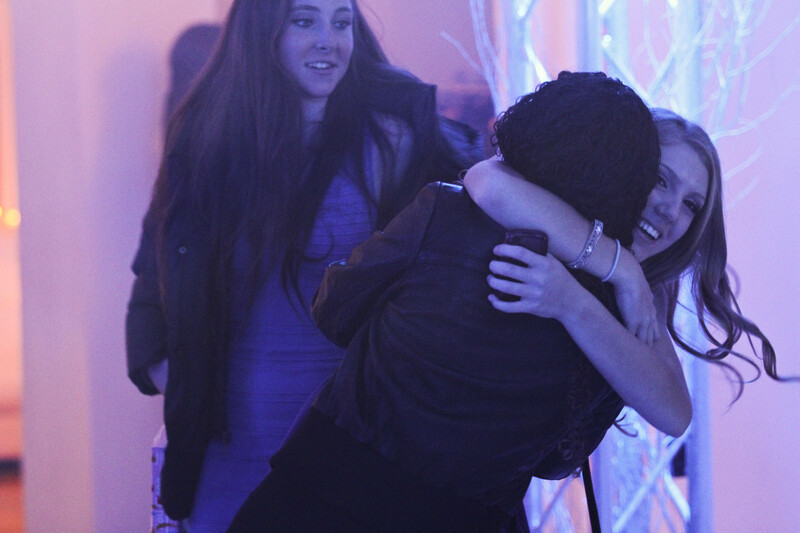 As you saw in the episode, both Avery and I were shocked and thrilled with the outcome. It brought tears to my eyes to see how happy she was. This was before the party even started! See photos below of the transformation. 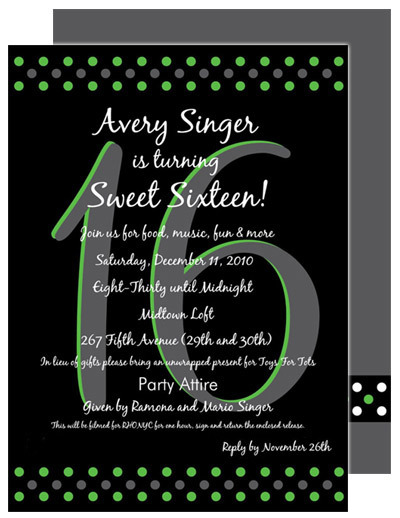 Avery’s invitations were done by Paperstyle. 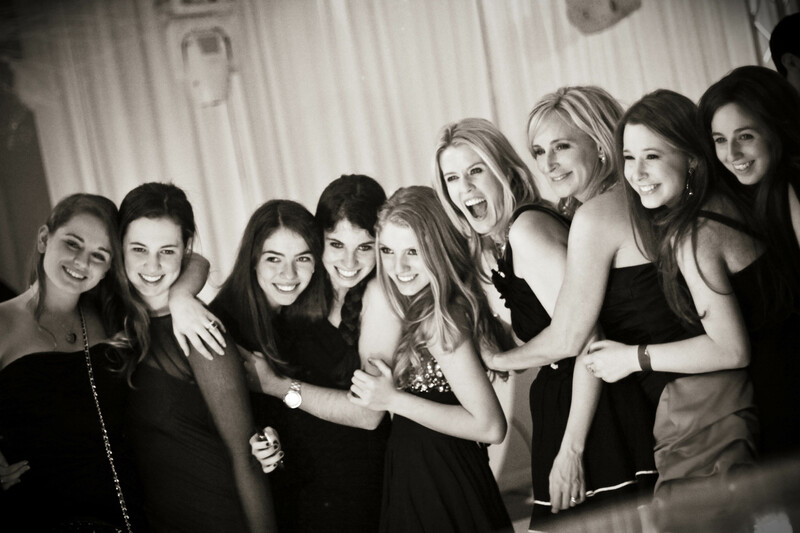 They were beautiful, very professional, very chic and appropriate for her party. The invites were done so quickly and we were more than happy with the result. 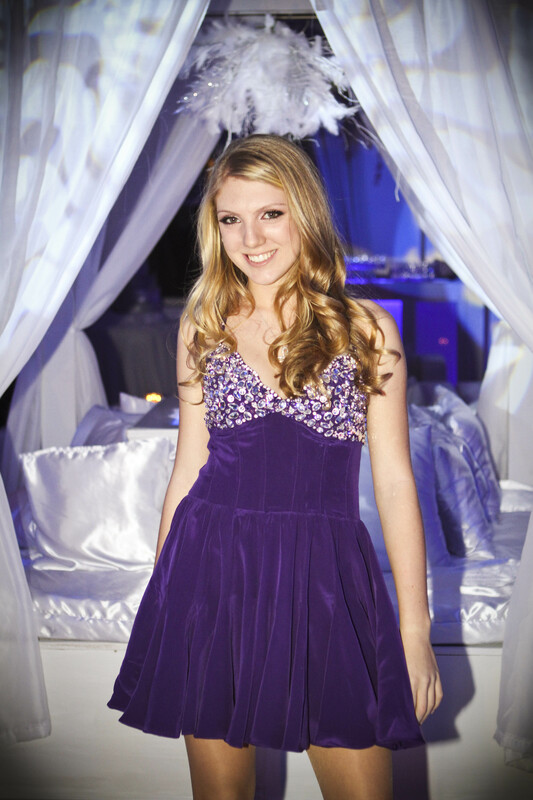 The accent color of the party was purple which matched perfectly with Avery’s dress. Avery’s dress was a custom design by Kimberly Towers who also designed my Vow Renewal gown! Avery was also involved with designing the dress; it turned out stunning. As I said, Avery did not miss on detail on this night. She looked beautiful, as always. 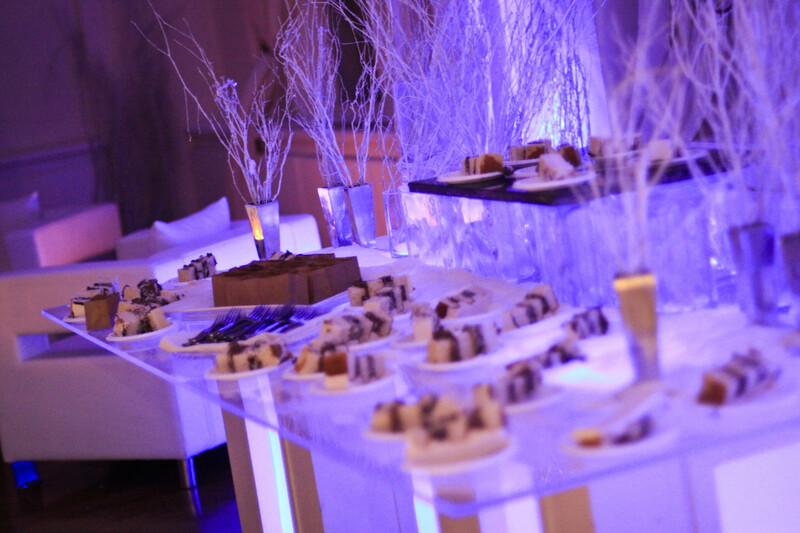 The food was spectacular, there was a sushi bar and a slider station, and the cake was beyond INCREDIBLE! 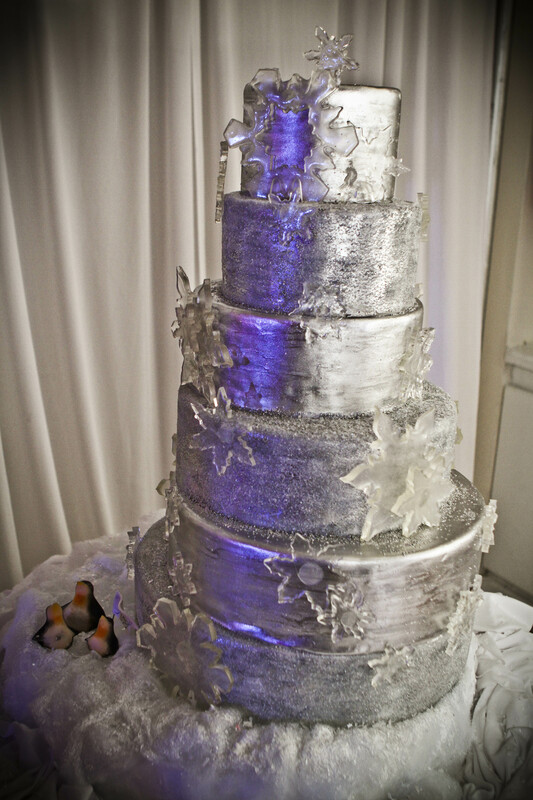 It was one of those cakes that looked too pretty to eat but once you took a taste you couldn’t stop! The cake was made by Miche Bacher’s Sacred Sweets in Greenport, and was surrounded by other desserts which included mini crème burlees. So yummy!! Additionally, in lieu of gifts, Avery asked everyone to donate a toy for Toys for Tots that were collected at the party, such a great idea and a perfect way to give back. 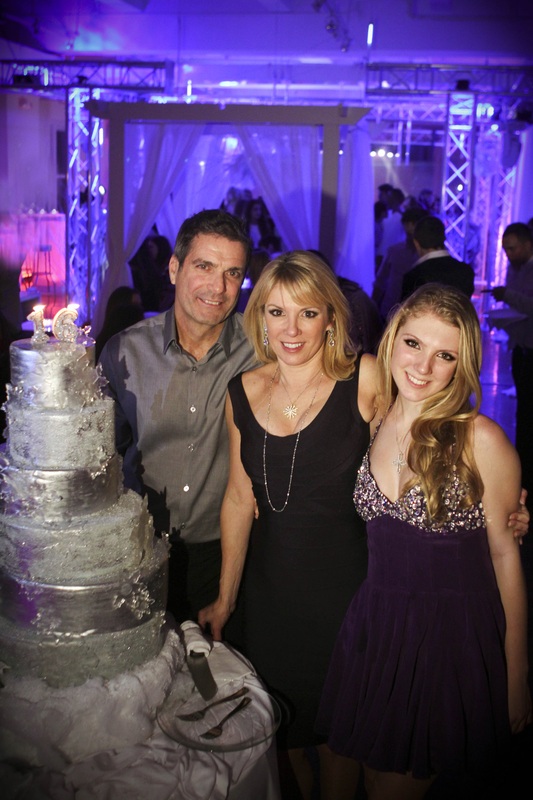 I was so proud of Avery at the end of the night as she went up to Stephanie the party planner and said, “thank you for the best night of my life!” Stephanie was so touched and told me what a wonderful young woman Avery was and that she has never received such a ‘thank you’ before. I always knew I raised Avery well. 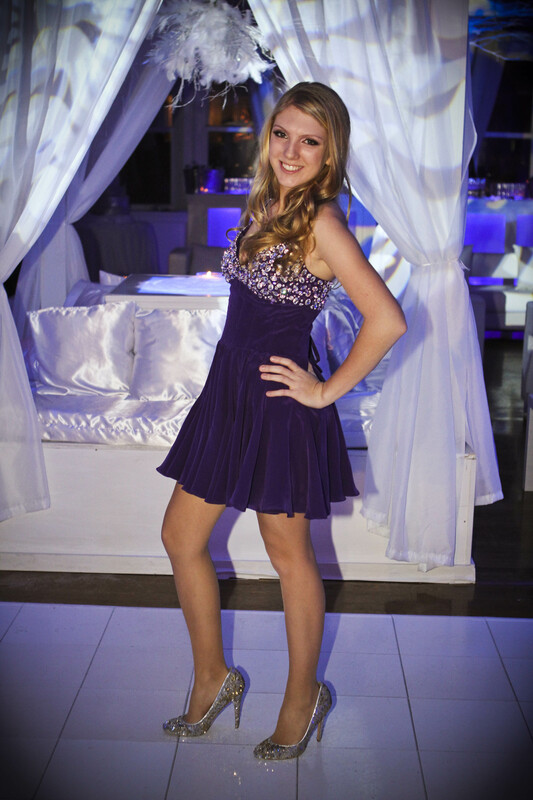 I was so happy to help throw a party for my daughter to celebrate how beautiful, mature and wonderful she is.